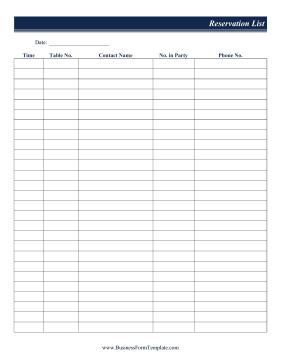 Restaurants can use this printable reservation list to keep track of reserved tables and timelines for a party. Fields: Date, Time, Table No., Contact Name, No. in Party, Phone No.